﻿ Hotel Hallbergerhof Hallbergmoos. JIMAT di Agoda.com! Ketika melawat Hallbergmoos, anda akan merasa seperti di rumah di Hotel Hallbergerhof, yang menawarkan penginapan berkualiti dan perkhidmatan hebat. Dari sini, tetamu boleh menikmati akses mudah kepada semua yang bandar meriah ini boleh tawarkan. Dengan lokasi yang mudah, hotel ini memberikan akses mudah ke tempat yang anda perlu lawati di bandar. Ambil kesempatan daripada pelbagai perkhidmatan dan kemudahan yang tiada tandingan di hotel Hallbergmoos ini. Ketika menginap di hartanah yang indah ini, para tetamu boleh menikmati daftar masuk/daftar keluar ekspres, simpanan bagasi, kemudahan mesyuarat , bilik keluarga, restoran. Suasana Hotel Hallbergerhof terpancar di dalam setiap bilik tetamu. pemanas, panggilan kejut, meja, beranda/teres, jam loceng hanyalah sebahagian daripada kemudahan yang boleh didapati di hotel tersebut. Di samping itu, pihak hotel menawarkan aktiviti rekreasi untuk memastikan anda mempunyai perkara untuk dilakukan sepanjang penginapan anda. Dengan lokasi yang ideal dan kemudahan sepadan, Hotel Hallbergerhof sangat memuaskan hati. Big & clean apartment with fit in 5 people's. 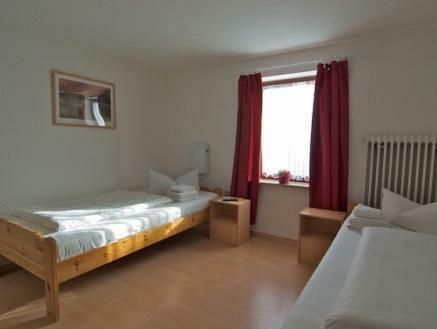 Clean & big room, just sadly no bathroom in room. A bit expensive due to October fest session. Location is good and bus stop just a minute away from hotel. Good for traveler who have early fight in the next day. The receptionists were impatient. They were unwilling to help you. They will charge your credit card in advance, even if you request to pay in cash. The hotel in not near by the train station. And I don't how to drive. So need to take the bus to the hotel. The receptionist is not very nice, he speak a long time on phone ignore me. Ok part from the fact it was the hottest Hotel room I have ever stayed in. I spend 11 months on the road each year and this was unbearable. I actually got some problem trying to find the location. Thanks to some local residents there that I finally made it late that night. Generally speaking, there is a really nice bar & restaurant in it and the room is quite comfy but a little bit cold. They do not offer airport shuttle service which made me moved to holiday inn the next day as I had an early flight to catch. 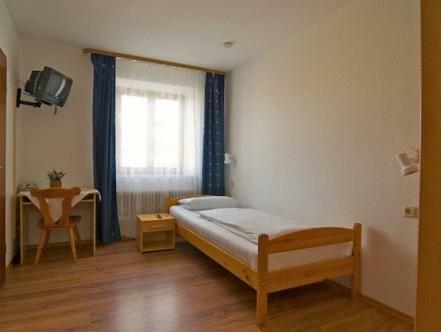 Near the airport, accommodating staff! 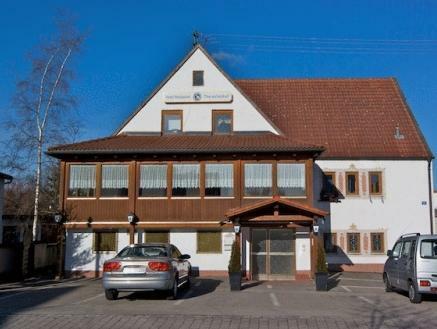 We chose to stay at Hotel Theresienhof due to its proximity to the airport and the price. We were over all very happy with the value we received and would recommend the hotel as a great stop over. The room was on the small side but were in line with what we had viewed online. There was a small table with chairs that made eating/working quite easy and a wardrobe helped to organize our bags. It was clean and bright. The bathroom attached was extremely small but was functional for a short stay! The best part of this hotel was the owner and staff! They allowed us to check in early (10am!) and were helpful with local and area information. Airport Hotel catering for guests of all nationalities but staff only fluent in German. A cheap but basic hotel very convenient for Munich Airport The hotel runs a shuttle service for 5 Euros per person each way (cheaper than a taxi)The shuttle dosent run to a timetable, to be collected from the Airport a phone call to the hotel is needed. The hotel has a restaurant & bar (not tested) there are other restaurants & bars along the road only a few minutes walk away. Das Personal war sehr freundlich und hilfsbereit. Zimmer waren sehr sauber. Das Frühstück war nicht gut. Warum werden nur"billige" Wurst und Käse angeboten. Brötchen waren eher Diskounter Qualität. Schade, ein Frühstück bayrischer Art mit Sachen aus der Region würden eine 100% ige Sehr gut Bewertung abgeben. ..
um es kurz zu machen: die angaben bei agoda sind nicht die aktuellen dieses hotels. der auf der seite angebotene transferservice zum flughafen ist nicht, das einzelzimmer war leider a....kalt, das lag wohl an der unguenstigen lage des raumes und an der (noch) fehlenden waermedaemmung.. der neue paechter versprach mir beim naechsten mal ein anderes zimmer, der defekte winzige tv-monitor wurde freundlicherweise durch einen flachbildschirm ersetzt. bitte hoteldaten erneuern! Vi havde brug for er hotel i nærheden af München Lufthavn og det fik vi. Sengen var ok, morgenbuffeten også (uden det helt store udbud) og vi kom hurtigt på motorvejen sagen efter - mission accomplished.